Alsace There are 6 products. 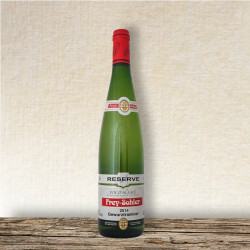 This wine has yellow-green colour with bright reflections. Flavour is delicate. Is dry, light, fresh. Refreshing and easy to enjoy, it´s a lively and vivacious. Recommended with: seafood, fish dishes and charcuterie, poultry. This wine has an elegant yellow-gold colour. 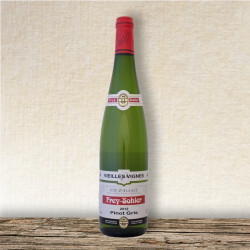 Pinot Gris develops a characteristic roundness and opulence. Is rich, full-bodied and with a long finish, its complex aroma is reminiscent of woodland and a slightly smoky. Recommended with: finest cuisine, foie gras, white meats and roats, duck, aperitif, mixed salads. 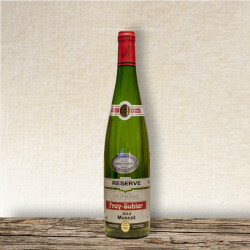 This wine is king of the Alsace wines. 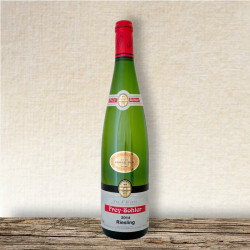 Riesling has an elegant bouquet with mineral notes. Tasting is elegant, with bright reflections. Wine has great harmony, a good structure, open and wide, a nice and delicate freshness. Recommended with: seafood, crustaceous and mussles, crude or grilled fishes, white meats or turkey, cheeses. This wine has yellow-green colour with bright reflections. Nose is very aromatic and reveals the true flavour of the fresh grape. Is dry, with inimable fruitness, and very different from the sweet Muscats of the south of France. 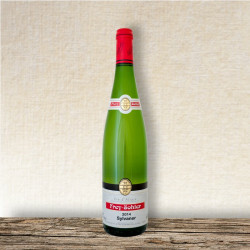 Muscat d´Alsace makes a wonderful aperitif and a delicious wine for receptions. 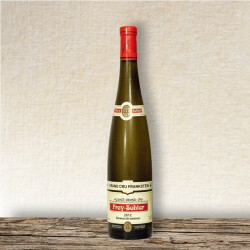 Semi-sweet white wine from the famous Alsace region of year 2012. Golden color wine has a full flavor with a distinctive fruity and spicy aroma of honey and exotic fruit and lychees. Recommended dishes: aromatic dishes, asian cousine and all kinds of cheeses. Suitable for sweet dishes and desserts.